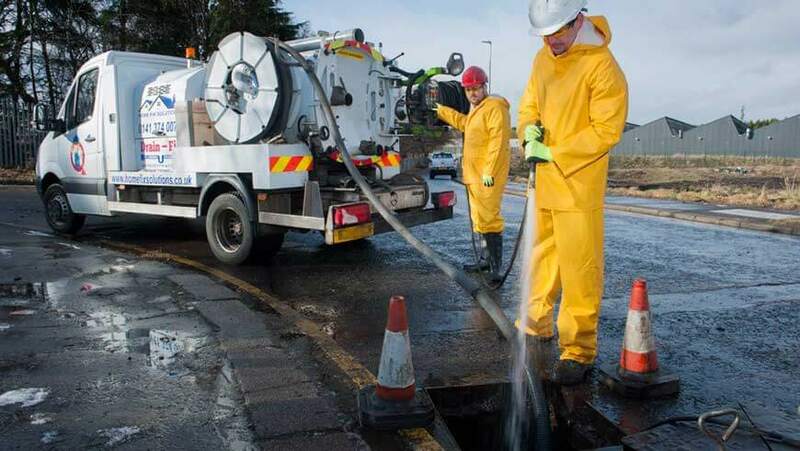 We offer a variety of drainage services to domestic, commercial and industrial properties including Hydro-Jetting, Electro-mechanical clearance, Excavations, Non-Dig repair technology, and CCTV Surveys. 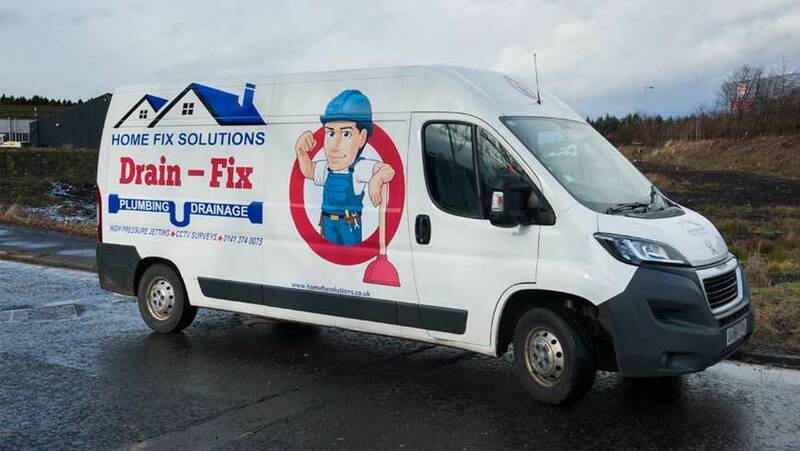 Our experienced technicians have seen just about every type of drain blockage possible, from wipes to grease, root ingress to fractures and total collapse, and have the know how to fix your drain quickly and properly. 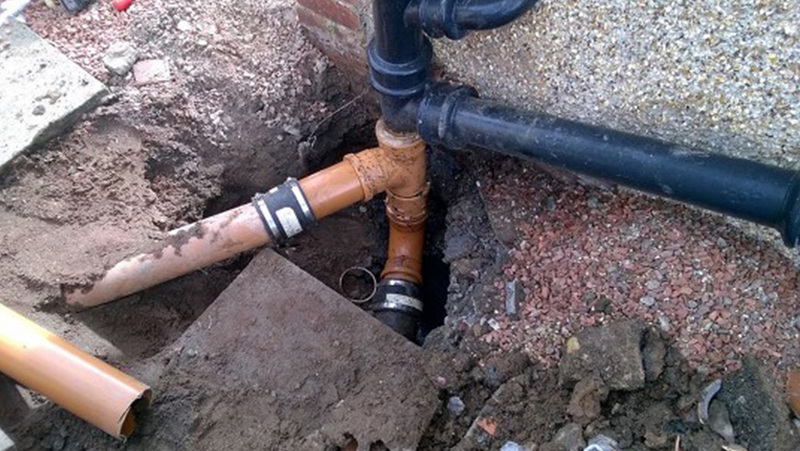 When your drain is blocked, most folk try to push the blockage away with drain rods. Nothing wrong with that, but more often than not all that happens is that the obstacle is pushed further down the line until it hits a bend and sticks there, then the worst thing ! In trying to pull the rods back out, they come apart and you now have twice the problem. At Drain-Fix we almost always use our state of the art jetting machines to blast the obstruction into small enough pieces to exit into the main sewer. The jetter head then clears your pipework of any debris as its pulled back out. To be absolutely sure the problem is solved, we then put a cctv camera down your drain FREE of charge. This lets both you and our technician see that the drain is clear. It will also show if there are any problems within the pipework that may have caused your blockage. We offer two levels of survey. If for an example you have an odour issue, or a recurring problem with your drains, a 'Look See' may be what you need. We will come out and where possible, send the camera down to highlight any faults or issues which may be causing your problem. The next level of survey is for someone who requires a 'Drain Report'. This is an in depth survey which measures distance, depth, flow etc from chamber to chamber. Those are mostly for commercial enterprises, or households who require a Scottish Water Report ,eg building an extension to your house will often require this. For smaller pipes, such as sinks, showers, wash basins etc, we bring our Electro-Mech machines in to play. These machines have a mixture of attachments which travel along the pipework and snare the blockage. Its then rewound and the obstruction removed with little or no mess. Sometimes your drain will need to be repaired. Joints can come apart because of tree roots, or ground movement can cause displacements or fractures, and in the worst case a complete collapse. Our specialist equipment can cut out those roots, and a resin patch repair can often be carried out without having to dig up your garden. If there is a need to excavate, then we can do this with the minimum disruption to your property.